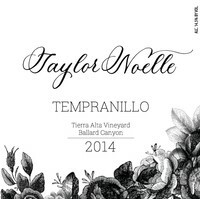 Our Taylor Noelle Tempranillo will be released next month, and let me be the first to tell you it is wonderful. Before we get into the details of this specific bottle, a quick lesson on Tempranillo. Tempranillo, as you may have guessed it, is a grape of Spanish origin. 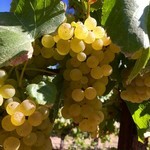 It is a red grape variety known for making full-bodied wines. Tempranillo is a diminutive of temprano, or "early", because it ripens several weeks earlier than most Spanish red grapes. Tempranillo is known for being a well balanced blend of fruity and earthy; and our Taylor Noelle Tempranillo is no exception. I cannot get over how well balanced this wine is. For people who are normally scared off by earthier wines, I urge you to not let that descriptor scare you. This wine packs plenty of fruit- cherries and figs without tasting overtly sweet or cloying. Perhaps a big selling point for this Tempranillo is how easy it is to pair with food. It will pair well with milder foods, but it also has the ability to compliment spicier foods wonderfully, which is why we will be serving it alongside Paella at our Harvest Party on October 14. I already have plans to bring a bottle of this Tempranillo to Thanksgiving dinner this year, as I think it is sure to be a hit with all red drinkers. You do not believe me? Try it for yourself! It will be debuting in the tasting room this October, and will be the star of the show at our Harvest Party. Not only will we be serving it alongside Paella from Paella For All Occasions by Chef Billy Tompkins and chocolate from Love Some Chocolate. 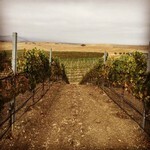 Those who attend will also have access to a Tempranillo case special, so do not miss out- buy your ticket today!